The Belgrave Hotel Investment, in Chester. A unique opportunity to invest in a fully constructed asset with a proven track record, ownership is on a 149-year lease. Furthermore, the Hotel is fully operational and has had an 85% occupancy year round. 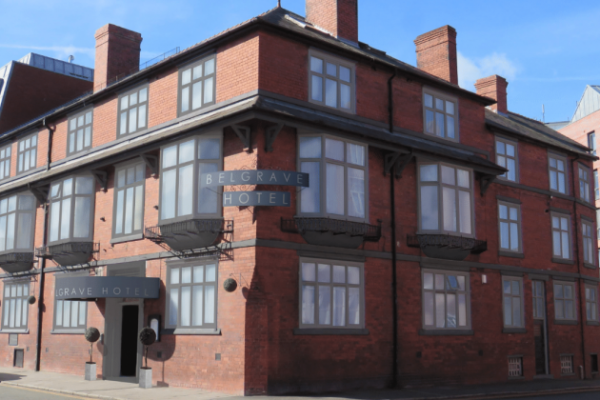 The Belgrave Hotel Chester has 33 bedrooms. Thes rooms will be refurbished in stages to bring the hotel from a 2 to a 3 star hotel; therefore will command a higher room rate per night once complete. During the works, the hotel will remain open. Investors will receive an assured rental return of 10% per annum from day 1 of ownership. The Opportunity also comes with a contracted buy-back at year 5, which is at 120% of the initial purchase price. This represents a total ROI of 70% in 5 years. The Belgrave Hotel is very centrally located in the heart of historic Chester and ideal for seeing the local sights such as Chester Cathedral, the Roman Walls and the ruins of the amphitheatre, all within walking distance of the hotel. Furthermore, the hotel will attract business and tourist guest all year round. Located just a short walk from the bustling town centre, The Belgrave Hotel is perfectly located for visiting the local attractions. Chester Zoo is within easy reach along with the Blue Planet Aquarium, Chester’s newest attraction. Additionally, Chester is rich in history & perhaps best known for its black and white timbered Rows built in the 16th century to accommodate small shops and bars, and a walk around the town to enjoy the scenery is an ideal pastime. In fact, so popular is the scenery in Chester that it is now one of the UK’s most visited cities. Only 3 minutes from the train station and a ten-minute walk from the town centre.